The math-rock community was in sorrow when Cleft announced that they were breaking up. 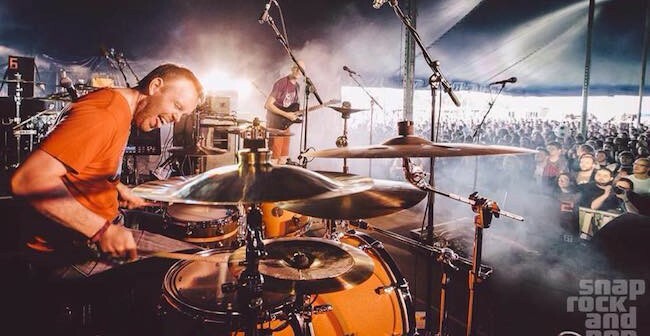 Since their inception back in 2011, the face-gruelling, riff-infested “turbo prog” duo have released two LPs, two EPs, one live EP and played all across the UK as well as Europe, including ArcTanGent twice and touring with Vennart. Which isn’t bad for a couple of guys writing face-melting riffs and pulling silly faces. 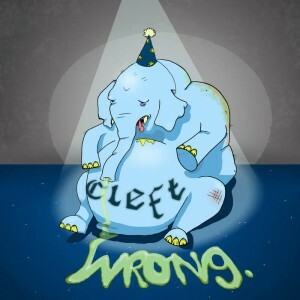 Cleft wanted to give their fans a gift they were proud of. The painstaking construction of final album Wrong is demonstrated with the recording process. Dan Beesley and John Simms didn’t just sit in a recording studio for a week; instead they drove up and down the country, delivering the goods to audio format in the best way they saw fit. This involved recording in Manchester, Leeds, Leicester and Cheshire. As for the album itself, it’s exactly what you’d expect the two-piece to produce. Super tight musical chemistry, weird digital guitar noises, dynamical interplay, tempo shifts and syncopated drum grooves. Unlike BOSH!, an album whose introduction began with atmospheric tones and psychedelia, Wrong fires straight at its listener instantaneously. Kicking off with hard-hitting ‘Frankenstein’, a track that features a low-swung, punching riff, it’s evident that Cleft want to aim their arrow directly at your face. ‘Frankenstein’ moves trepidatiously as Beesley’s impeccable guitar work stabs and tremolo picks its way around multi-faceted crunching riffs and guitar tones, serving as the perfect introduction to Wrong’s beginnings. This similar attitude continues for the first three tracks, where ‘D.O.N.G 808’ continues their fixation on big riffs and tight grooves. The track witnesses a middle section that sees looping entwined, creating a beautiful yet mysterious soundscape, and surprises with an octave-heavy breakdown soon after. Coupled with musical expression and perfected craftsmanship, it’s moments like these that show just how meticulous Cleft are; there are no loose ends. 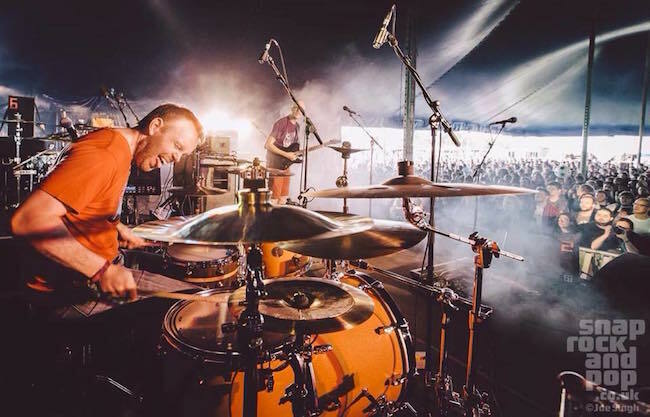 Other standouts include ‘Face Plant’, a quirky, disparate rock track that sees neurotic guitar and drum work hectically throw themselves through different metres and grooves. Possibly the tightest track on the album, sudden crescendos and accents fill quiet sections, whilst the heavier parts feature jarring moments of silence. Simm’s drum work is an absolute tour-de-force here, as it channels and furrows its way over Beesley’s pedal-drenched legato guitar work. Sounding more akin to something Aphex Twin would produce, ‘Face Plant’ is math-rock done right. In contrast, the three shorter tracks ‘Lemmy’, ‘David’ and ‘Alan’ were recorded live with only one or two mics positioned somewhere in their recording space. Named after musicians and celebrities who have passed in an incredibly deplorable year for obituaries, these little ideas and jams work well in separating the listener from the chaos of the bigger tracks. ‘Lemmy’ is a funk track, ‘Alan’ is a ritualistic, chord heavier interlude, and ‘David’ is more on the bossa nova side of things. All the tracks are wonderful in their own right, bringing a gentler approach to the stark Cleft formula. As five minute closer ‘Dohmlette’ sadly disappears into a mist of progressive glum, the end of Cleft’s career is an upsetting one. Wrong is the perfect example of a couple of mates making silly sounds and getting somewhat popular for it. Their service to the math-rock and DIY community is one that should be led by example: they were a band that did what they did because they wanted to do it. They produced music that they wanted to hear, that they were proud of, but they did so in a manner that was completely devoid of arrogance. 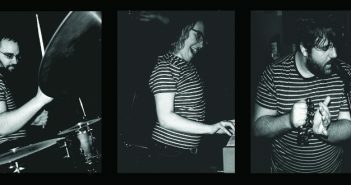 Cleft were true pioneers of silly jokes turned into sophisticated music, and showed the world that wearing brightly coloured clothing and playing songs named after parts of the bottom  was totally cool. Godspeed, Cleft, and thank you for producing some of the best two-piece jams this decade will ever witness. A cleft is a crevice. In colloquial terms, a crevice in a body. On BOSH!, Dan Beesley considering naming every song after a specific ‘cleft’. BOSH! on Bandcamp.